Well…still no new pictures. It’s been raining for 5 days now. There has been small breaks in between, and I did get out for one of those breaks, but I was with Lita and she wanted to get back home, so I couldn’t conduct extensive picture taking. 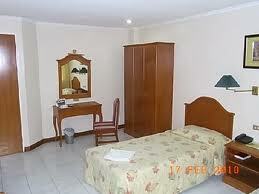 I did add a new hotel to the blog, the Almira Garden Hotel. The only reason I got it was it happens to be right next to where Lita was shopping the other day. 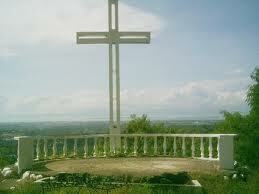 This place, Zamboanga, I have never been to. It is in the really Southern Philippines and that is where there is a lot of rebel activity, so I always play it safe and not frequent such areas. Now there are Americans and all kinds of nationalities there, but we have never been. I hope that someday all the rebel activity will cease, because it looks like a nice place to visit. Useless Knowledge: The first TV show ever to be watched by over 50 million households was the final episode of M*A*S*H.
14 Mar – Hits at 0218 = 213156. Since I went to bed early, I rose and shined at 0629. Lita went shopping again today. Whenever she goes to the market these days, she always brings Sally with her. I stayed in here on the computer. I don’t really like to go shopping, but I have been known to get in the mood to go. Sometimes I just go so Lita won’t have to carry heavy things, but since Sally is here now, I don’t have to worry about that. When I walked out of the room about 0940, I saw J sleeping on the little bed in our ‘living room’. I have it like that because it’s not really a living room, just a little area that is a combination kitchen, dining area, living area. He looked pretty wiped out from his less than wonderful stay at the local free hospital. I guess he won’t be working for a few days, but as long as it keeps raining, we won’t have much business anyway. The dogs around here are starting to get out of hand. We’re going to have to find a way to keep them out of the compound for good. Right now if we get 2 of them get in here at night, they fight. If one gets in here, he sits by the front gate and barks and growls at other dogs trying to get in. It’s very noisy. If I had a high power water hose, we wouldn’t have to worry about it. Someone, I think Ado or maybe Ramil scared them off for tonight. We’ll work on how to keep them out tomorrow. Looks like today will be a bit short of information to input. Lita going downtown was about the most exciting thing that happen around here today, so it sure was boring. Lita is talking about borrowing money from a local lone shark to have enough money to go to Tambis/Tacloban. I’m not keen on the idea, so I’ll try to discourage it. We have about P8000 to go, but she thinks we’ll need more. We had more, after selling that tricycle, but we had to pay for J’s hospital bill (about P1500) and we also had to get him some medication. Plus it was time to pay Vicky’s salary for this month. 15 Mar – Hits @ 0145 = 216045. I was up at 0650 this morning after going to bed early again last night. I was in the mood for grilled cheese sandwiches today. I had to send Jascyl out to get some cheese. All they have around here, except at JustMar, is Eden filled cheese. It is still made by Kraft though. It’s okay, but not really wonderful. She bought a very small package of it so I didn’t get to use to much, but that’s okay because it’s not that great tasting anyway. I made 4 grilled sandwiches and I ate 3. I gave the last one to Jascyl, and she liked it okay. Today was the day I went downtown with Lita and Crystal. We went to Mercury Drug and to a small grocery store. While at Mercury I noticed that they did not have any Doritos, but they did have some Cheetos. This is the first time I’ve seen the Cheetos here, so naturally I got a bag of them. I also bought a couple of bags of hot peanuts. I got them to eat during our Tambis trip. At the little grocery store, I bought some more cheese (still only the filled kind there) and some Skyflake crackers. After we got out of the grocery, I noticed that there was a hotel right next door. I told Lita that I wanted to take a picture of the inside. Since she wanted to rest anyway, I left her downstairs and went up. Pretty nice hotel, but small. Nice employees and 2 of the 3 that I saw spoke good English. The guy that seemed to be the Manager showed me 2 of their rooms and let me take whatever pictures I wanted. I also got a room rate sheet and that’s what I put on the hotel site on the front page. They say they serve breakfast and ‘meals’, but I didn’t see a restaurant. There could have been one, I just didn’t see it. The hotel is about 2 blocks from Jollibee’s and Chow King anyway. Another 2 blocks to Bread Mix, so it’s not like it’s really that necessary they have a restaurant unless you’re in one of those, ‘I don’t want to leave the room’ moods. I thought it would be best to get these pictures inserted before we go to Tambis Thursday morning. These will be the last post for a few days since there is no computer in Tambis, but I will take lots of notes. Hopefully it won’t be raining that morning. 16 Mar – Hits @ 0440 = 218744. I fell asleep kind of late last night, so I woke up early in the morning. I had to see how the blog was doing because I didn’t check it out much on Tuesday. Lots of different information today. It should make up for the previous 2 days, especially yesterday that wasn’t very much at all. First of all, Lita decided that we are not going to Tambis. She didn’t get any money from the ‘loan shark’ and she still thinks we don’t have enough money to go. That’s fine with me. I wasn’t that excited about going anyway. Sure I’d like to see Khany and Bebie, but not enough to make that long trip and pay all that money. I’ll get to see them soon enough. 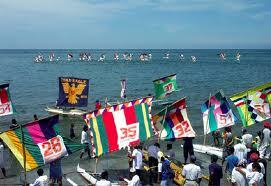 We still plan to go to Tacloban though. I’m about out of food here, since I’m the picky kind, and we need to re-stock. We plan to go on Sunday, if it’s not raining. Neither Lita or I enjoy traveling while it is raining, especially in the Philippines. Ramil will be going with us because he knows the area better than we do and we don’t want to get lost. 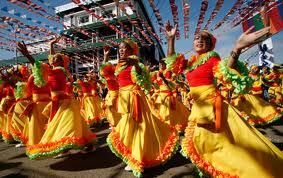 The people at the Ciriaco are happy that we are not going. They were trying to get us to let Vicky open the BBQ while we were gone so they could have something to eat. They expressed their concern about that yesterday while they were here. They come over to the BBQ in shifts and I think everyone ends up coming over here just about every day, including Management. Even the owner and his son have been here a couple of times. We found out today that J had pneumonia, or I guess it was more like ‘walking pneumonia’. They determined that after taking some x-rays. We have the x-rays here. I guess he needs to carry them with him whenever he has an appointment or if he ever goes to his own doctor. I don’t know really, but we have them. Now that we have all our store permits and everything is paid for, we had our “LolyKats Store” sign made. It is already put up, but it’s dark outside and I want to wait until morning to take a picture of it. I hope it’s not raining tomorrow, so I can do that without getting my camera wet. Whenever they put the sign up, someone walked on the roof that I guess was a bit too heavy and now the stores leaks pretty bad. We will have to get someone to fix that to keep a lot of things from getting wet. We bought a new hot plate today. We needed a 1 burner one so they can cook some of the things outside instead of cooking it inside the house. When I get ready to eat, I can’t, because someone has to cook something for the BBQ. That just wasn’t going to work for me. So we spent P795 for a new one at 5-Star Commercial department store. The little thing that we were using coal with is broken. We would use coal and there is a, I guess it’s an accelerator. It makes the coal fire burn higher and hotter. Anyway it’s broken again and it cost way too much to fix, so we just spent the P795 to take care of the problem. Well that’s all I have written down, but I did think of something else to say about Zamboanga Philippines. 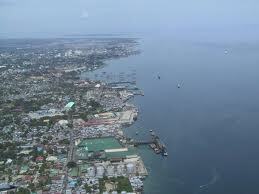 This is the area of the Philippines that usually host the RP-US Exercises that are conducted in the Philippines. I remembered because of the next picture. During the exercises the US Military will build housing, play grounds, drainage ditches and all kinds of things that the Filipinos can use after they are gone. Well, of course, the playgrounds are for the children anyway. The main reason I remember is, if you look at the above picture you will see that these people want the US to be there. 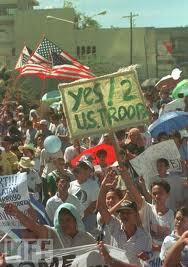 The people in Manila however always protest against the US being there. Of course Manila people are not getting the benefits of the things that the US is doing and most of the ones protesting are not suffering like the people in Mindanao, so all they know is that the US is back in their country. Personally I’d like to see the US come back to the Philippines. 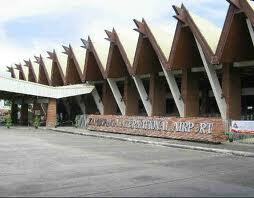 I’d like for them to actually build a base down in Mindanao or Leyte. But obviously it’s not my call. One of the reasons why the Philippine economy took a nose dive was that the US moved out after the Pinatubo eruption, even though they were scheduled to leave shortly anyway, the eruption just hasten their departure. 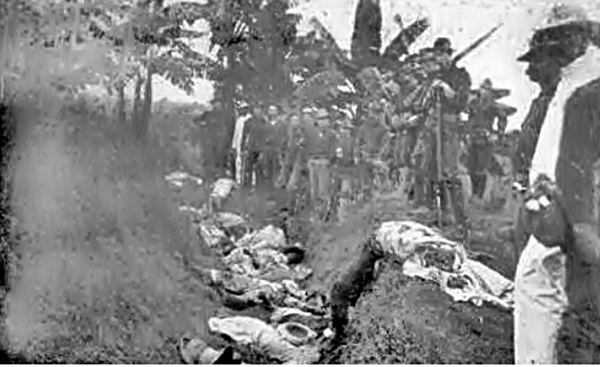 1899 – Some 200 Filipino freedom fighters are killed by imperialist American forces led by Bald Eagle Brig. Gen. Loyd Wheaton during the Battle of Guadalupe Church one year and one month into the bloody and protracted Philippine-American War (1899-1914); the battle taken part in by the enemy U.S. forces that include the 51st Iowa Infantry, 2nd Oregon Volunteer Infantry Regiment led by Col. Owen Summers, and Washington volunteers in the Pedro Macati area (later to be known as Makati City) would also see the terrible destruction of the convent, with official US report only listing 3 Americans killed and 26 wounded; the U.S. gunboat Laguna de Bay–purchased from a Spanish firm–and armored by Utah Volunteer Light Artillery Capt. Frank A. 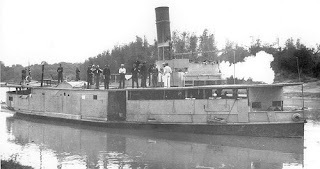 Grant takes part in the invasion operations, bombarding the convent with eight guns mounted upon her; the Filipino freedom fighters are strongly entrenched near the Pasig river at the Guadalupe Church, such that the invading Americans planned to hold the left of their long line of invading troops “facing this district stationary until the right swung around on the flank of this position” at which moment the pivot should charge with the Laguna de Bay as support. 1899 – Imperialist United States Gen. Elwell Otis reports to the Adjutant-General in Washington that Gen.Loyd Wheaton has attacked a large force of “the enemy,” referring to the freedom-fighting Filipinos one month into the Philippine-American War (1899-1914); the report that mentions the heavy losses were inflicted on the side Filipinos comes a day after the Battle of Guadalupe Church wherein invading Bald Eagle forces including those from the 51st Iowa Infantry, 2nd Oregon Volunteer Infantry Regiment, and Washington volunteers routed the poorly armed Filipinos; with other dispatches to Washington stating that “fierce opposition” was offered by the natives, Major Grant is ordered to take one of the gunboats and destroy all the Filipino vessels in Laguna de Bay; the invading American’s strategy mapped out by Otis, who thinks resistance is concentrated in the southern Luzon provinces, consists of severing the supply line of Filipinos north of Manila and then aiming to capture Malolos, the proclaimed capital of the fledgling Philippine Republic. 1947 – The controversial RP-US Military Bases Agreement (MBA) that grants American access to 22 military, naval, and air bases in the Philippines is signed by Philippine President Manuel A. Roxas and United States Ambassador Paul V. McNutt at Malacanang some eight months after the imperialist Bald Eagle nation granted “independence” to its Southeast Asian colony; supposedly forged for the mutual defense of the two countries, the agreement would be decried by nationalists as both a symbol and actual tool of American neo-colonial hold on Filipinos; another criticism of the MBA is how it was approved only as an international executive agreement on the American side, not having been ratified by the U.S. legislature. 1899 – Gen. Mariano C. Trias submits to Gen. Emilio F. Aguinaldo, President of the fledgling Philippine Republic, the report showing that the imperialist Americans started the first shots of the Filipino-American War (1899-1914) and that, moreover, the initial February 4 attack had been premeditated; historians would later learn that the United States Congress decided to go to war based on a fraudulent claim that Filipinos began attacking American soldiers in Manila,as part of the vile “prearranged plan” by the U.S. military to precipitate the Philippine-American War immediately after an incident has been provoked; racist U.S. soldier Pvt. 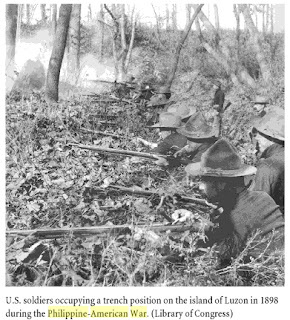 William Grayson fired the first shots at Filipino soldiers trying to cross Sta. Ana bridge as part of the secret orders made by regimental commanders some two days earlier to bring about conflict; Bald Eagle President William McKinley schemed to trick the U.S. Senate to approve the Treaty of Paris and, thus, secure funding for military operations to annex the Philippines as part of the imperialist policy for Bald Eagle’s overseas expansion. People are not to be bought and sold like horses and houses. If the aim has been to abolish the traffic in Negroes because it meant the sale of persons, why is there still maintained [in international law] the sale of countries with inhabitants free to be unwilling to form part of a[nother] nation? Thanks for blogging about my country. I appreciate it much. Mabuhay! No problem. I live here now and it’s an interesting country. Thanks for taking the time to send a comment. If you have any questions or need to know something about the area, let me know and I’ll do my best to find out. Okay, but you should know that Lita decided we didn’t have enough money to make the trip, so we ain’t going. It’s in the 16 Mar post. 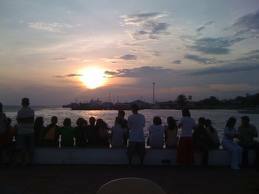 We or maybe I will be going to Tacloban this Sunday. There are some things there that I need to make my stay here more pleasant and I want them. Lita might change her mind and go also, it’s still 3 days away, but as of now it’s just me and Ramil. The food is really good at John and lita’s BBQ. I can vouch for it first hand. 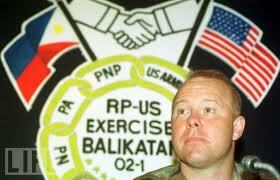 John, as far as the U.S military building a base in mindanao, I think that would be like a bear in a bees nest. But maybe that would bring more stability there. It certainly couldnt hurt to bring back some military presence. 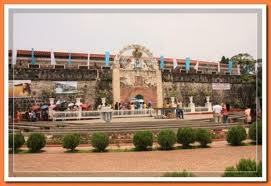 I depart on tuesday and will be in calbayog thursday24. And of course have to stop over in tokyo which im not to secure about but maybe they will re-route the flight. Its better then the original plans of landing in Nagoya Japan on the 10th exactly when that earthquake hit. See ya soon bud. 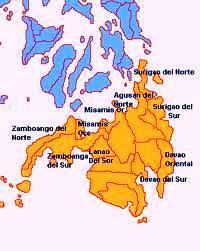 Well maybe in Mindanao would be a little risky, but how about around Tacloban or southern Samar? I know it will probably never happen, but it gives me something to type about. Too bad about your trip, John. Would like to have seen some pics of the area. I think it is quite funny that everyone from the hotel chooses to eat at your barbeque instead of the restaurant in the hotel. Must be some good food. Well, as I said, I’m not that disappointed about not going. 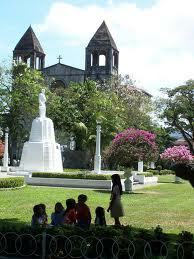 I will be going to Tacloban on Sunday though, so I will take pictures there. I do have some pictures of the Tambis area already on the blog so you can check those out. I’m sure not much has changed there. I’m telling you, those people say they love Lita’s BBQ sauce. Also our BBQ is much cheaper than the restaurant. If I worked at the restaurant, I’d eat there, but that’s just because I’m me and I don’t eat the BBQ that we cook. Not because it isn’t good, according to customers, but because it is pig intestines and the Filipino hot dog is not good for me either. Except the Pure Food hot dogs taste pretty good. Not great, but edible.